It’s no secret that reviews and referrals are crucial in growing your practice and maintaining your reputation. 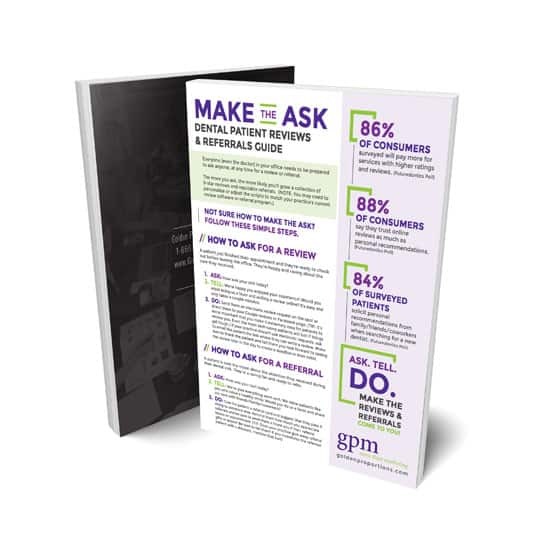 Asking for them is easier than ever thanks to this free, step-by-step guide. Download your copy today to increase your online reviews and patient referrals.